Do you enjoy writing – or dread it? I write for a living, and I also coach writers and would-be writers, so I know just how tough it can be to get up the motivation and the courage to write. But in almost every job, you’re going to have to do some writing. You might also want to write for personal reasons: perhaps you’d like to write your memoir for your grandchildren, or you’re keen to write fiction or a blog. How can you make writing seem less terrifying – and more fun? This is something which I still do from time to time, even though writing’s usually pretty effortless for me – and I know a lot of other people find it useful too. Write for ten minutes without stopping (set a timer) about any topic you like. You could write about your day, your worries, your workload … anything. You don’t even need to write in whole sentences. The idea is just to get the words flowing: get used to typing onto a blank page and filling it with your thoughts. No one will ever see these getting-going pieces that you write. You can delete them if you like, or you can save them so you can look back at them in future. Writing can seem like a big, serious thing to do. It doesn’t need to be that way at all – in fact, writing is an act of creativity and it can be a lot of fun. If you’re looking for a way into writing, try out a writing challenge which gives you a prompt of some sort. You could give Creative Copy Challenge a go – the idea is to create a short, coherent piece by using all the words supplied, and you can make it as crazy as you want! One of the biggest struggles that I hear from the writers I coach is getting started. Often, they end up staring at a blank page for ages, because they’re not sure what to write about. I know just how daunting this can be … but thankfully, it’s also pretty easy to fix. Instead of sitting down and trying to come up with something to write about, make sure you’ve already got a stock of ideas. You can jot these in a notebook whenever you think of them, or even set aside time to deliberately come up with a list of ideas to write about – challenge yourself to get to 50, and don’t worry whether they’re “good” or “bad”. Even if you’ve got an idea, it can be really tough to write the first few words (and I often advise struggling writers to work on their introduction last). Instead of trying to fill a blank page from top to bottom, write an outline first. It doesn’t need to be in depth – it just needs to give you a framework to hang your writing from. I like to write my outline into the document which I’m using for the piece itself: that way, the screen’s no longer looking so scary and blank! 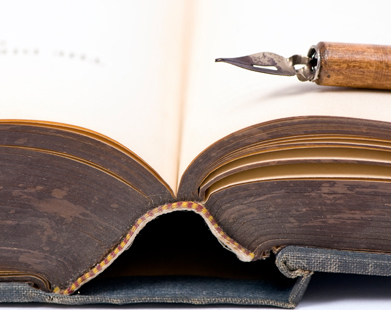 When you’re writing, you’ll find that your words rarely come out perfectly the first time. This isn’t because you’re a bad writer – even experienced professionals often go through many drafts. The whole point of a first draft is to get your ideas down onto the page, however imperfectly, so that you’ve got something to work with for the second draft. No-one ever needs to see your first draft, so don’t censor yourself while you’re writing it. If you find yourself thinking this sentence is convoluted or that’s such a cliché or that’s not quite the word I want, just carry on. You can fix it in the next version. Finally, don’t be afraid to try something new. It often takes a while for newer writers to find their voice (it took me years), so don’t get stuck in writing in just one way. You might later decide that this really isn’t your style, but it’s a great exercise for your writing muscles to try it out.